With Saturday’s win at UCLA, Oregon men’s basketball moved to 16-2 (5-0) on the season, their best conference start in 39 years. With victories over then 4th-ranked Arizona and 21st-ranked UCLA, Oregon sits atop the PAC-12; a nice thought at the beginning of the season, but certainly not a reality. Well, it’s time to stop calling this team a great little story. For the first time in a long time, Oregon is legit. Led by Tony Woods and E.J. Singler, Oregon is playing with a confidence unseen since Aaron Brooks and Bryce Taylor were raining threes in rusty Mac Court. Seniors Woods and Singler have certainly helped lead the charge, and true freshmen Damyean Dotson and Dominic Artis have been spark plugs. The bench has been solid. But no one has had more of an impact on this program more than head coach Dana Altman. When plucked from Creighton three years ago, Altman was an unknown commodity to most fans. While his successes at the small school were well known, Altman’s name did not carry the same cache as other coaches that fans were clamoring for. Just two and a half years into his tenure, it’s safe to say the school made the right choice. 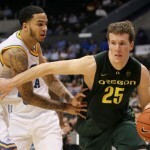 After a rocky start (player defections and sloppy play), Altman has this team poised for a deep run in March. In a sport where marquee players come and go so fast, fans rarely have time to make connections with its stars. Coaches themselves often become the stars of their programs, instead of their players, and names like Jim Boeheim, John Calipari, and Mike Krzyzewski define their teams . Altman feels like the next one in that list. He has taken an underachieving program and made it into a big-time winner with less than optimal talent. E.J. Singler is a good player, but his productivity is a result of hard work and guile rather than pure talent. Prior to his arrival in Eugene, Arsalan Kazemi came from the basketball powerhouse that is Rice, which last appeared in the NCAA tournament 43 years ago. Big-time recruits like Jabari Brown were not cut out for Altman’s style and bolted almost as soon as his career started. Next man in. No player is bigger than the system. Do the little things to win big. Sounds a lot like the football program, doesn’t it? For all the glamour that is associated with the university — from the shiny uniforms to the Nike connection — it’s the grunt work, day-to-day attitude and floor burns that have made the athletic programs successful. The same way the receivers in football block, the basketball players sacrifice shots for the good of the team. It’s all made possible by coaches who know the value of hard work and doing things the right way. 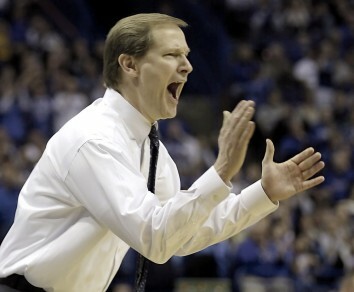 Chip Kelly got it, and Dana Altman gets it. The former got his squad to the top of his sport. Now the latter seems to headed there, too.